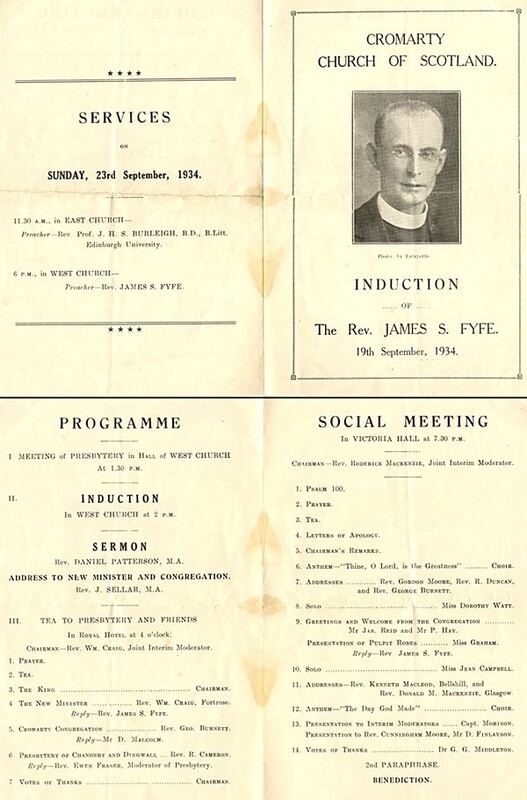 This programme dates from 23rd Sept, 1934, and is for the induction of the Rev James S Fyfe as Minister in Cromarty. Note solo by Miss Jean Campbell - now Newell! More on Miss Dorothy Watt - I was always told she was a beautiful singer.